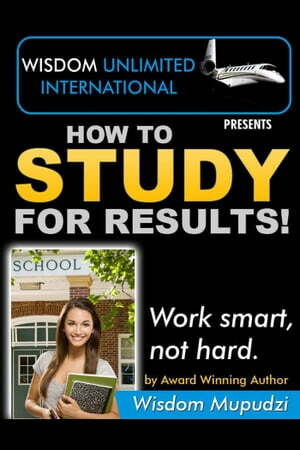 Collins Booksellers - How To Study For Results by Wisdom Mupudzi, 9780987355409. Buy this book online. Do you get frustrated during exam times?? Do you want to maximise your time during study?? Do you leave all your studying till the last 2/3 weeks before the exams? If you have answered Yes to any of the following questions, then this book is for you. The main objective of this book is to empower you towards your studies. The objective of the book is to sharpen your study skills.There is nothing called luck in exam time. You are either prepared or not. There is no time to leave it to chance. This book will help you maximise your time at school, whether you are at University, Primary school or whatever level of study you are at. Award Winning Author, Wisdom Mupudzi, presents unique insights and priceless wisdom on how best you can maximise your study time. He gives you a simple but effective method of study. Having been educated in three continents, Wisdom brings rare insights gained from experience. Being a former student and a graduate himself, he knows the pressure that is prevailing in Universities, and any level of schooling below that. He also understands how tough it is to balance school, work, and many other commitments. However, he full y understands it can be done. Don&apos;t leave your future to chance, work smart and not hard. Wisdom fully explains the two in the book, so get your copy and empower yourself towards your destiny. Education is always a key element of empowering yourself towards your destiny. There are exam tips included as well as facts as to why it&apos;s important to get good sleep before exams etc. You have an UNCOMMON DESTINY, have a &apos;game plan&apos; and prepare to succeed. This is your time.